The most viewed project of 2017, according to Google Analytics data (up until 27/12/2017), is the review of Novus condominum at Sungai Nibong. This project is no doubt the most popular project in 2017 and has been sold out. In second place is The Tamarind executive apartment by E&O Property at Seri Tanjung Pinang. An all time popular project ever since it was reviewed in 2014. The post has been viewed more than 31,000 times in 2017, approximately 100,200 times since December 2014. The remaining eight posts are mostly affordable housing projects, with the exception of Tropicana Bay Residences at Penang World City which is ranked 9th in the list. A mixed development launched in mid of 2017 by Ideal Property Group at Sungai Ara. Located along Jalan Fettes, surrounded by Iconic Skies, Gardens Ville and Imperial Residence. It offers a mix of landed and high-rise properties, with 2 level of shop offices located below the residential tower. The first affordable housing introduced in early 2015 by Ideal Property Group at Sungai Ara. Strategically located along Lengkok Kelicap, only a few minutes away from Penang Internation Airport, It is just a stone’s throw away from Setia Pearl Island housing scheme. The residential component comprises 2 blocks of 41 and 42-storey towers, each affordable unit has a built-up area of 900 sq.ft. 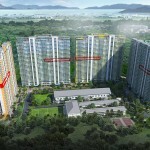 Phase 1A of Penang WorldCity development by Tropicana Ivory Sdn. Bhd. Located within Bayan Mutiara, a new development hub located in the eastern part of the Tun Dr Lim Chong Eu Expressway and in the vicinity of Sungai Nibong. Comprises four 22-storey residential tower, with condominium unit size ranging from 455 sq.ft onwards. The project has already been completed in 2017. Affordable housing project launched in 2015 by BSG Property at Tanjung Bungah. 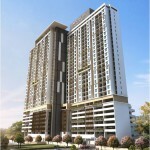 Next to TAR College, adjacent to 2 Permai luxury residential scheme. This development featuring a 50-storey building with two residential towers and 12 levels of car park. There are 980 units of affordable homes featuring a built-up area of 864 sq.ft. with three bedrooms. 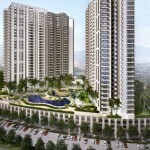 Twin towers freehold project by Ideal Property Group in Bayan Lepas, Penang. Located on an 11-acre land, the two towers were part of One Foresta affordable housing scheme located along Lengkok Kelicap. Schools, financial institutions and healthcare facilities are only short drive away. 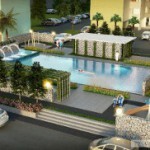 Comprising 991 condominium units with size ranging from 1,000 sq.ft. to 1,050 sq.ft. 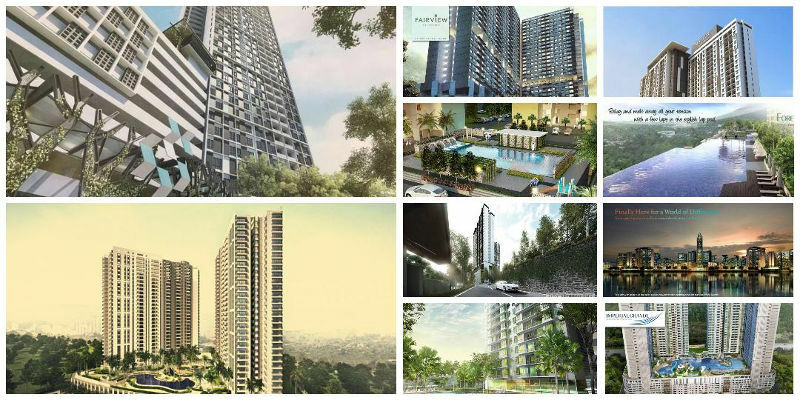 Indicative price starts from RM450,000 onwards. The only project in Penang mainland that made it to top 10 in 2017. This is an affordable housing project launched in second half of 2016 by Penang State Government in Butterworth, undertaken by Silver Channel Sdn. Bhd. It comprises 4 blocks of 14-storey towers with 780 apartment units, featuring spacious 3 bedrooms and 2 bathrooms layout with a built-up area of 1,002 sq.ft. Affordable housing at the South West district of Penang Island. 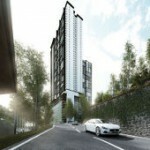 It is strategically located along Jalan Mayang Pasir, within the established township of Bayan Baru. This development will see two blocks of 29 & 26-storey buildings, offering a mix of affordable and low medium cost units. It’s now ~60% completed. One of the most popular affordable housing launched in 2017 at Sungai Ara. Located next to Setia Pinnacle by SP Setia, about 10 minutes drive away from Setia SPICE. 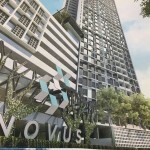 This is a joint venture development between BSG Property and VST Group. 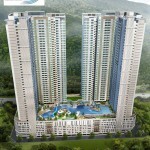 Features a 34-storey condominium offering 750 units of affordable housing, with standard built-up size of 970 sq.ft. 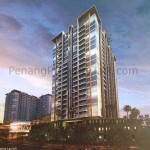 Freehold executive apartment by E&O Property at Seri Tanjung Pinang. Located along Jalan Seri Tanjung Pinang 1, within walking distance to Straits Quay and Tesco. Given its strategic location and reputable developer, this is one of the most popular projects in the past 3 years. It was first introduced in early 2015 with initial selling price of RM700,000 onwards. A total of more than 3,800 readers’ comments were recorded since 2015. Residential development launched in early 2017 by Prisma Bumiraya Sdn. Bhd. (Pearl Ocean) at Sungai Nibong. It is strategically located near Gerbang Bukit Kecil 2, adjacent to Kristal Court Townhouse and Kristal Villa. The proposed development comprises single block of 44-storey condominium, offering 273 residential units with built-up area ranging from 860 sq.ft. onwards. It’s a known fact now Penang Island’s property market is practically at a standstill. It doesn’t augur well when looking into 2018 despite the state govt’s various efforts. Seems that in good or bad times, the fundamental of properties ie “location, location, location” still prevail. regardless of whether developer is branded or not.